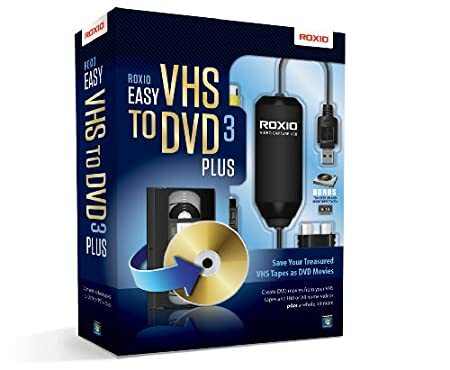 Your #1 Source for Software and Software Downloads!Roxio Easy VHS to DVD 3 Plus Video Converter for PC - Your #1 Source for Software and Software Downloads! Convert your analog LPs and cassettes to audio CDs or MP3s and identify tracks automatically and add title, artist and genre information. Go from VCR to DVD in a few clicks – the fastest way to create a DVD from your VCR home video by burning DVDs from your VCR or camcorder. You can automatically split home movies too big to fit on one disc or trim and cut video clips and burn across multiple DVD discs. 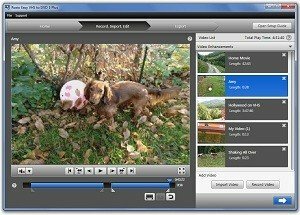 Edit your video by reducing video noise common to old VHS tapes, stabilize shaky home videos, and improve color balance and lighting. Roxio Easy VHS to DVD 3 allows you to produce Hollywood-style DVDs with navigation and professionally designed menus, adding transitions between videos and rolling credits to movies. Roxio Easy VHS to DVD 3 converts your analog LPs and cassettes to audio CDs or MP3s. Auto-adjust recording audio volume for the best sound quality and add reverb and other sound effects. It can identify tracks automatically and add title, artist and genre information. Create personalized disc labels, DVD case inserts and booklets and choose from professional-quality templates. You can share your home movies on DVD or convert audio and video files to play on most popular mobile devices including iPod and iPhone. Uploading home movies straight to Youtube and Facebook is fast and easy.